RN, RM, Bachelor Health Science (Nursing), Graduate Diploma Emergency Nursing, Trauma Certificate & Aviation Nursing Certificate. Margaret commenced nursing at Gosford Hospital and moved to Sydney and focused her early career in Emergency nursing, Trauma nursing and Disaster Management. She was involved in providing education in Emergency Department triage, disaster and trauma programs for the military and metropolitan Sydney. 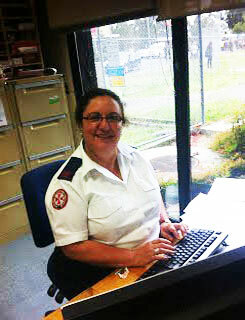 Margaret joined New South Wales Air Ambulance Service in 1998 initially as a Flight Nurse then as Nurse Manager. Margaret still thoroughly enjoys the daily challenges of the aero-nursing and the aeromedical environment and is active promoting flight nursing as a professional career path. She has a keen interest the area of developing new interior platforms for aeromedical transfers and in improving the restraint of neonates and infants in the fixed wing environment.